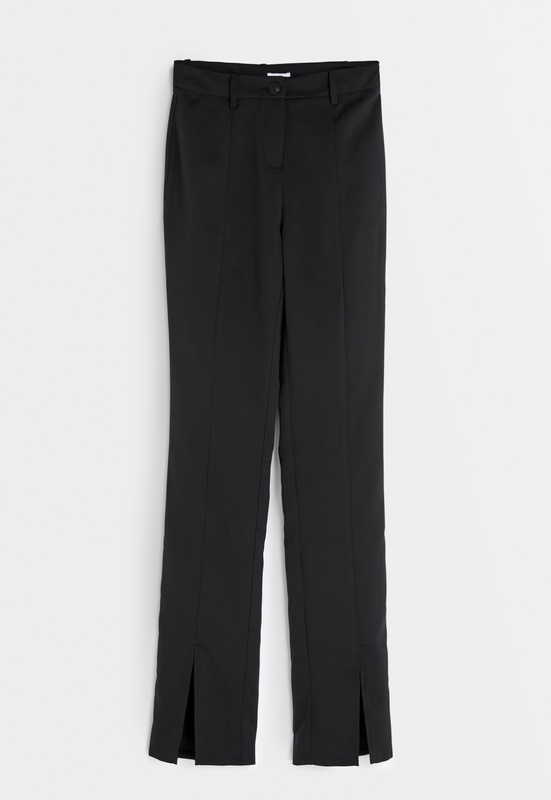 Stylish suit pants with ankle slits from Bubbleroom by Carolina Gynning. Matches perfectly with the Bubbleroom by Carolina Gynning Blazer. - Comfy fabric with light stretch. - Zipper fly with button at front. - Jetted pocket at back. - The high waist creates a feminine fit.